Take a look at the chart above and think about its implications for your business. What do Google’s findings mean your business? If you are among the 28% of small business owners who don’t have a website yet .. it’s time you got one. And, make sure it is “mobile friendly” so your audience won’t be frustrated when viewing it on a smartphone. A website is one of the most affordable and cost-effective investments you can make in your business because your customers are looking for your business on the web. Your website should showcase your business to customers and prospects and make it easy for them to call you, email you, and find you (if customers come to you.) Your website should have all the key information your customers want and need to make a purchasing decision or action. Your website also needs to be optimized so your customers can find you fast when searching for businesses like yours from their computers or smartphones. Optimizing your website requires both on-site and off-site work. On-site work includes giving each and every page a unique page title, unique page description, and unique content. Each website page’s content should include the words and phrases that will help people find you online for the products or services you provide. In addtion, all photos and images on your website should be given meaningful and optimized file names, titles and descriptions we well. Optimizing your photos and images can help more people find you online and help bring in more business. Off-site optimization includes getting your business listed in key online directories and making sure that your directory listings provide accurate and consistent name, address, and phone number data. will help classify you as a local business. At a minimum, your business needs to have a Google My Business page set up and linked to your website, a business Facebook page, a Twitter account, and a LinkedIn profile. Next, set up a YouTube channel and develop a library of educational and/or entertaining videos to introduce your preferred customers to your business and build rapport with them. Instagram and Pinterest offer additional platforms to showcase your home remodeling projects and give them wider visibility. Posting photos of your work in multiple online venues can help you initiate conversations with potential customers and your community. The more places you list your business, the more likely you are to be found by your ideal prospects and customers. Business listings in directories and location-based local listing services also provide valuable backlinks to your website which will help your search engine optimization efforts. Attention to detail is critical when listing your business in other directories. Your business name, address, phone number and website URL must be listed consistently everywhere in order to avoid confusing search engines. Inconsistent data about your business can harm your search rankings and make it harder for potential customers to find and contact you. 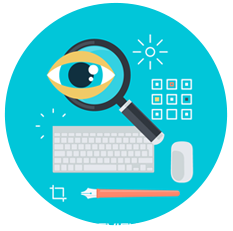 Be proactive about getting your best customers to review you online. You can have a special page on your site reserved for publishing and highlighting customer feedback and testimonials. You should also have a system in place to follow up and ask your customers to review you on Houzz (if you have a Houzz business profile), Google, Facebook, Yelp and other popular and authoritative review sites. Since reviews appear on search results themselves, the more 5-star reviews people find for your business online, the more you are likely to attract the attention of potential customers. Google Analytics and other tools can show you how many website visitors you are getting, which website pages are most popular, and where your visitors are coming from (both geographically and via other social media or websites.) This data can help you evaluate what is working well, what is not working, and identify ways you can improve your online marketing activities. Most home remodeling contractors do not have the desire, the time or the required expertise to create a robust well-rounded and comprehensive web presence that will position them at the top of their local marketplace. Herbst Marketing can help you with all your online marketing needs, including: search engine optimized and lead-generating websites, online copywriting and content development, video production, social media setup and marketing, and reputation marketing. Call us today to discuss your needs and request a quote for marketing services.